Juventus take a commanding lead to the Camp Nou for the second leg – and will be confident of faring better than PSG did last month. Max Allegri named his expected side. Mario Mandzukic has been playing on the left in recent weeks, while Daniel Alves faced his former side for the first time. Luis Enrique was without Sergio Busquets, so Javier Mascherano was deployed in midfield, and Jeremy Mathieu came into the side in a hybrid three/four-man defence. Juventus exploited Barcelona’s poor organisation in the first half, although the game was a closer contest than the scoreline might suggest. The key feature of this game was Barcelona’s unusual shape. When the line-ups were revealed, it wasn’t clear whether they were using a three-man defence or a four-man defence – in the end, it was a bit of both. 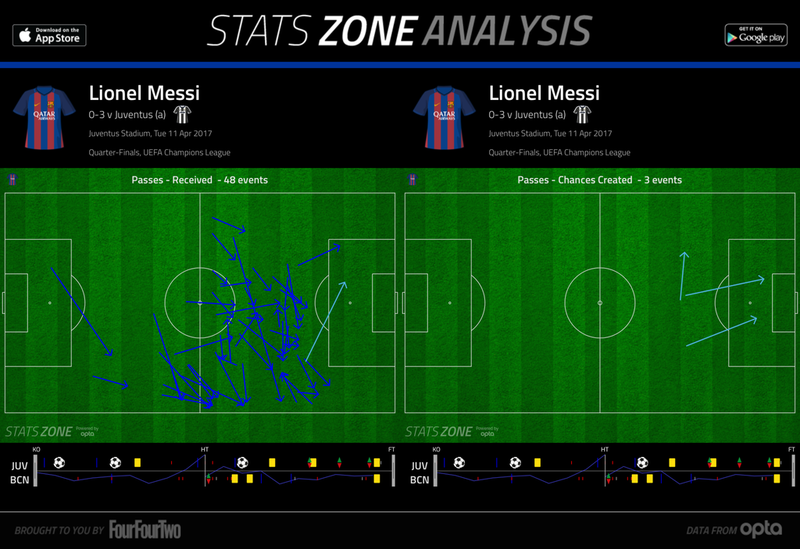 It was a back three in possession, but then Barca shifted into a four when Juventus had the ball. Luis Enrique has tried something similar repeatedly in recent weeks, often without great success, and the system asked a huge amount of Sergi Roberto, who was forced to play two positions simultaneously, and also defend against Mandzukic, a natural centre-forward. It didn’t work well. 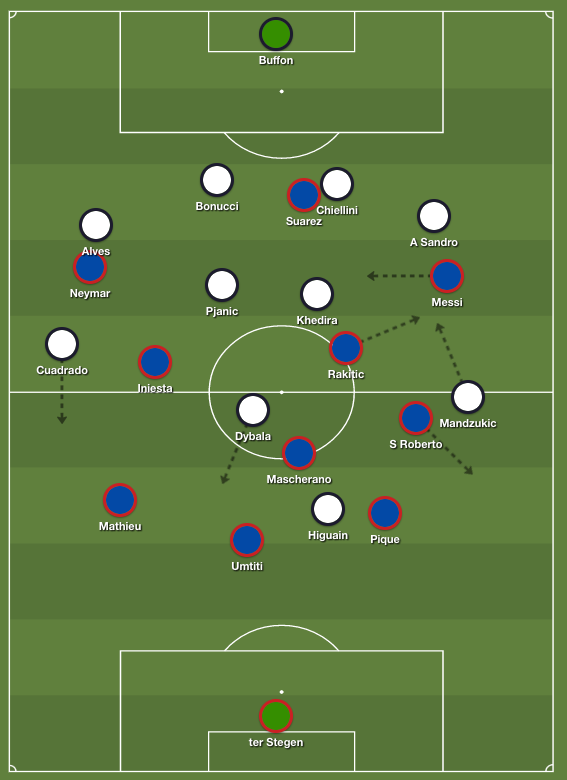 Barcelona’s three central defenders struggled to cover the width of the pitch at defensive transitions, and Juventus repeatedly switched the ball out wide during the opening stages. Despite Barcelona’s right-back uncertainty, this was always going to be more dangerous down the opposite flank, where Juve had a flying winger in Juan Cuadrado, and was up against Barcelona’s least mobile player, Mathieu. Sure enough, Juventus’ opener came when Cuadrado was unmarked in oceans of space down the right, drove into the penalty box with Mathieu backing off, then slipped in Paulo Dybala, who curled home a wonderful left-footed shot into the far corner. This was only after seven minutes, and yet the goal had been coming – largely as a result of Barcelona’s peculiarly disjointed defence. The root cause is the simple fact Luis Enrique has effectively been forced to cope without a proper right-back all season, after the departure of Alves last summer. The fact Alves was playing for the opposition rather added insult to injury. Juventus’ second goal was essentially a mirror image of the opener. This time, Juve switched the ball out to Mandzukic down the left. He took on the retreating Sergi Roberto and then cut the ball back to Dybala, in oceans of space between Mascherano and the defence, and he again curled in a fantastic left-footed strike. It’s difficult not to blame the system when two such similar goals are conceded. Indeed, Juve would later nearly score again through a very similar move. In the opening period of the second half, Cuadrado cut the ball back to Gonzalo Higuain, on the edge of the box, who curled his shot too close to Marc-Andre ter Stegen. Barcelona simply weren’t prepared for coping with that type of move. Dybala, incidentally, was excellent – not just for his two finishes, but for his clever movements when Juve counter-attacked. He played the number 10 role but rarely received the ball in central positions, instead darting either side of Mascherano to receive the ball in the channels, and keep attacks flowing down the flanks. Juventus had pressed aggressively at 0-0, but the further they went ahead, the more they retreated into an increasingly deep shape – Mandzukic ended up playing as an auxiliary left-back. Therefore, while Juve dominated the opening stages, Barcelona were allowed the run of midfield for long periods afterwards. They rarely, however, converted this possession play into seriously penetrative attacks. The problems started from deep. Mascherano simply lacks the commanding presence of Busquets, and did little to set the passing tempo from his deep position, either with his positioning or his actual distribution. Ivan Rakitic floated around on the periphery of the game, and had responsibility for drifting right to allow Leo Messi inside, while Andres Iniesta was usually shut down quickly by Miralem Pjanic. Neymar was tracked very closely by his compatriot and former teammate Alves, although Alves intelligently didn’t stick so tightly after he was cautioned midway through the first half. With Higuain occupying Gerard Pique and Samuel Umtiti, it meant Barcelona’s only free player was Mathieu. This must have been a dispiriting night for the Frenchman, because not only did Juventus not bother closing him down, realising he would do little damage with the ball at his feet, but Barcelona’s players repeatedly seemed reluctant to bother giving him the ball. Mathieu spent much of the first half doing little – contributing nothing in possession and not defending confidently against Cuadrado. Barcelona’s only saving grace was Messi, who drifted inside dangerously from the right flank to create the game’s best two chances. First, he cut inside and then slipped a brilliant through-ball in behind for Iniesta, making a rare run past the opposition defence. Alves, entirely concerned with the movement of Neymar, seemed surprised that another player popped up in his zone – until then, Barcelona had little movement from the midfielders in advance of the forwards. Gianluigi Buffon made a decent save, but it was equally a very poor finish from Iniesta, who lack of goalscoring ability is a major weakness. He’s managed two goals in his last 75 games, and while that’s usually not a problem considering the forwards he plays with, this miss proved costly, as it came moments before Juve’s second goal. Messi did something similar in the second half, for Suarez – who rolled Leo Bonucci, but flashed a shot wide of Buffon’s far post. Barcelona were soundly beaten, and yet they actually created the game’s best two chances – solely because of Messi’s brilliance. Luis Enrique re-shaped at half-time. Andre Gomes replaced Jeremy Mathieu, with Mascherano dropping into defence and Umtiti shifting left. This theoretically solved two major problems, the lack of passing quality from deep in midfield and the lack of attacking quality from left-back. Both situations improved slightly, although Gomes didn’t use the ball particularly well and Umtiti didn’t influence the game significantly. Roberto stayed more permanently at right-back, meanwhile, as Barca looked more structured. The killer blow was Giorgio Chiellini’s headed goal to make it 3-0, and Barca’s set-piece problems had been obvious from the opening moments, when Higuain was allowed a free header and directed it straight at the goalkeeper. Here, Chiellini towered over Mascherano – some would suggest such a short player shouldn’t have been marking such a tall player, but ultimately Barca are a very short side, and with Bonucci, Chiellini, Higuain and Mandzukic all to pick up, there was going to be a mismatch somewhere. Barcelona dominated the final half hour and created some good half-chances, but Allegri had more useful defensive options on the bench than Luis Enrique had attacking options, and the home side shut down the game effectively. Juve raced into a two-goal lead courtesy of a mixture of tactics (attacking down the flanks to expose Barcelona’s poorly-organised defence) and individual brilliance (Dybala’s two goals were extremely good shots, from difficult positions). They also clearly had a specific pressing plan: they left Mathieu free, and they also retreated much more when they were 1-0 ahead. The third goal was a set-piece, and therefore it’s worth remembering that this was effectively the tried-and-tested way to cause Barca problems: break down the flanks and maximise set-pieces. In that sense it was was rather like Bayern’s 4-0 victory in 2013, albeit much less comprehensive. Barcelona offered little. The absence of an adequate Busquets replacement, combined with the complete lack of a proper right-back, meant they were hugely disorganised here, and only Messi’s two moments of brilliance provided proper chances. i can’t imagine that juve falls apart the way psg did. What do you think of the evolution of the game to favour the tall, strong, physical player over the skilled player? On both sides of the ball, players were allowed to tug and hit and run over each other with little or no consequence. It just so happens that in this game, Juve has the more physical presence so it appeared more one sided. Match after match, skill players are getting kicked and dragged with fewer and fewer consequences. It happens on both sides. It’s called “fairly” as far as teams are concerned. But the game is changing. 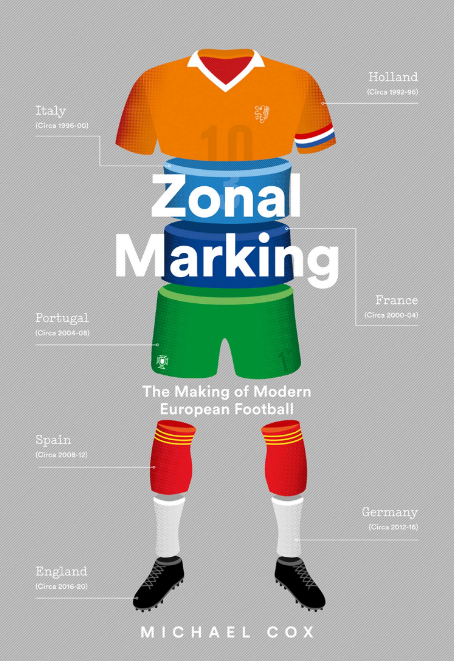 I have to say that from this analysis you don’t give any credit to Juve’s great organization. You just talk about Barcelone failure. Barca as usual had more ball possession but Juve players covered more miles. That means they all helped attack and defend and I think Juve strategy here was brilliant. I don’t like Allegri style that much but have to say that he “check mate’d” Barca. I think Barca underestimated the fine ball control Juve has this year with people like Dybala, Cuadrado, Alves, Alex Sandro just to name some. They have been playing more together recently and now they know each others better and better. Barca is Barca we all know that but with PSG they did not deserve to go through. 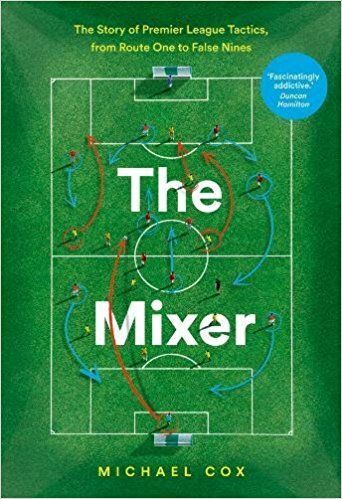 Barça has the most resources between the two, so it is natural that the main story is how Barça failed to use it to its advantage. A team with Messi, Neymar and Suarez, playing well, should beat a team with Higuain, Dybala and Cuadrado upfront even if the later plays well (see the UCL final in 2015, although it was Tevez, Morata and Pogba in Juve’s side). Therefore, Juve did a fine job, but the result is more a reflexion of Barça’s failure to setting up a true team this season and it is not the first game when it becomes clear. The most resources? They have the better attack with MSN, but Juve have the better mid and clearly the better defense. MSN is what keeps this mediocre barca team alive. Can’t work always though. In hindsight it is easy to say Juve has better mid and defense, because it works as a TEAM. Individually, most Barça players in those positions are world class internationals, with the important exception of Mathieu and Roberto. I would say they are not worse individually in average than their Juve peers. Juve working as a TEAM is not surprising, but Barça, one of the top 3 richest clubs in the world being unable of having a balanced midfield or real full backs is damn annoying. And it was not a great match from Juve, it only did what it does all weekends in Serie A and it was enough to beat this awful Barça. I’d like to see what barca can do with 30% possession, probably get spanked 10-0.